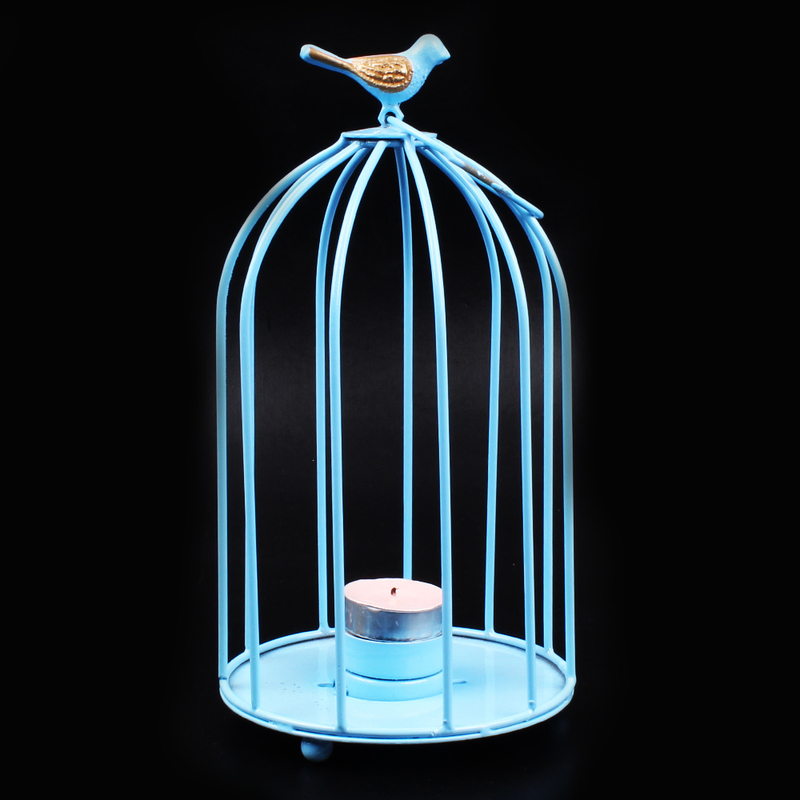 Product Consists : Dome Shaped Metal Sky Blue Cage (Length:22.86 Cm, Width :12.7) with A Tealight Candle and Auston Milk & Dark Chocolate (Weight :110 Gms) along with Best Wishes Card. Celebrate the moment of years of togetherness and gift your someone with this special gift and thank her / him for the effortless love and care has given to you. 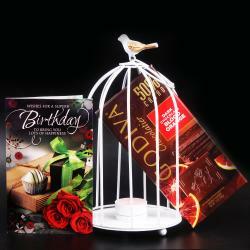 This amazing gift hamper is just what you need to show your dear ones how much they are special for you and feelings in your heart. 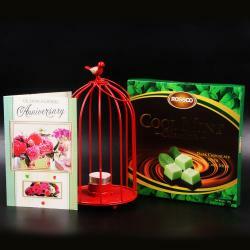 Have a look at the tempting chocolates that we have here just to make your loved ones taste buds tickled. 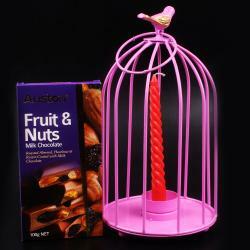 Chocolates have the capacity to melt hearts and also delight senses. 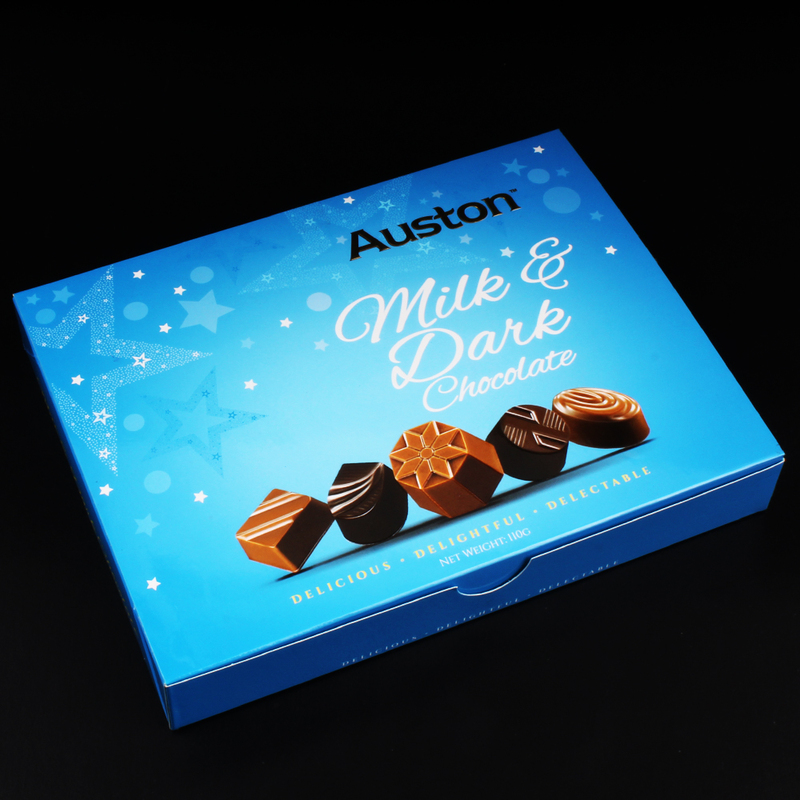 We let you make the best of any occasion with mouth watering chocolates like Auston milk and white chocolate. Would look lovely as a centerpiece or just to dress up any dresser or table. This Bird Cage lid opens on a hinge . Comes with a hook for hanging. 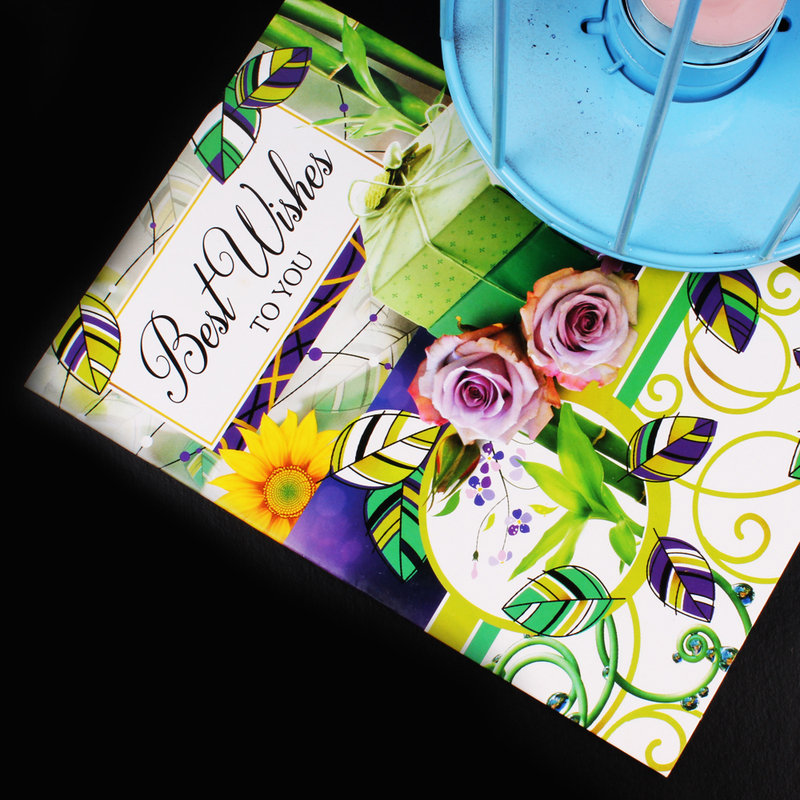 Wish your close one a good luck with this lovely best wishes card. Bring smile and luck to your near once face with this card. 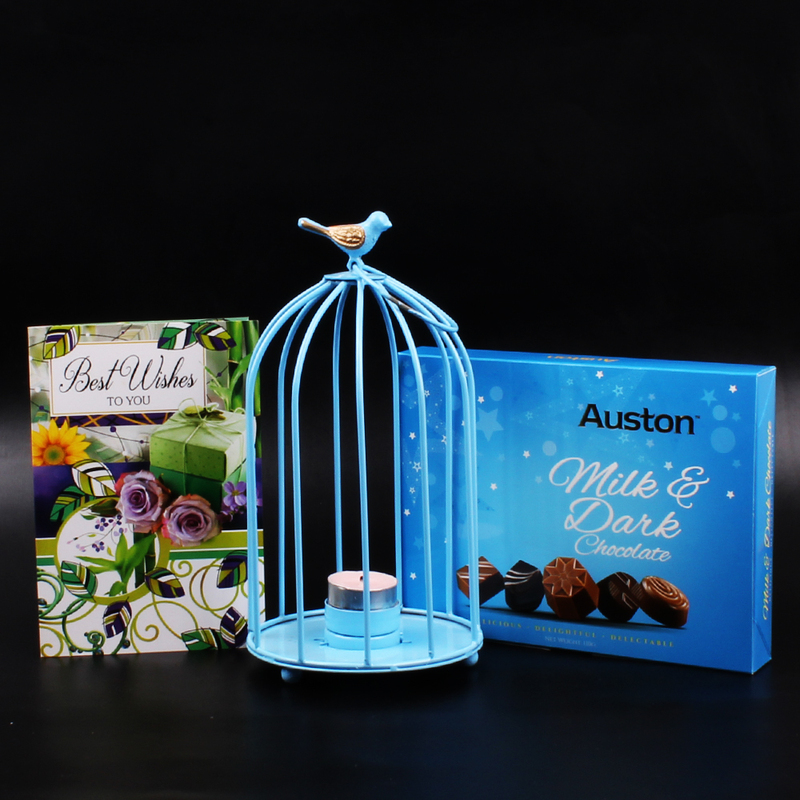 Product Consists : Dome Shaped Metal Sky Blue Cage (Length:22.86 Cm, Width :12.7) with A Tealight Candle and Auston Milk & Dark Chocolate (Weight :110 Gms) along with Best Wishes Card.